Consumption of MCTs from coconut oil has been shown to increase metabolism by turning up our bodies’ thermostats in a process called thermogenesis. When we produce more heat, it allows the body to utilize more energy. These increases in thermogenesis and metabolism mean our bodies burn more fuel—fat. Coconut oil has a famous fan. You might recognize the name—Dr. Mehmet Oz. 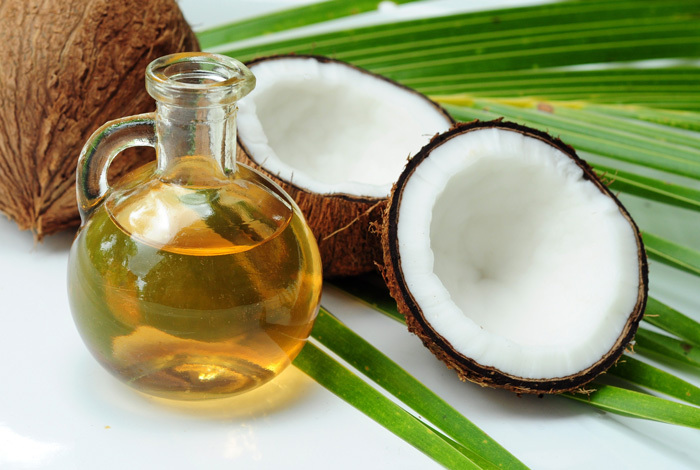 Our favorite cardiothoracic surgeon and host of The Dr. Oz Show says coconut oil is a heart-healthy food. We couldn’t agree more. And the latest scientific literature backs up these claims, too. Evidence of coconut oil’s cardio-protective properties comes from the MCTs’ ability to support normal blood lipid profiles. That means coconut oil has been shown to support healthy triglyceride levels and the good kind of cholesterol—high-density lipoproteins or HDL. Our heart is just the start. The process of breaking down coconut oil in the liver produces ketones and short-chain fatty acids—both shown to help support cognition. A new study shows that measures of immune health are enhanced in elderly women in response to supplementation with fish oil, and further improved in combination with strength training. Aging is known to negatively affect the immune system, making elderly more vulnerable to disease. Physical activity and diet play roles in moderating immune response, and mild physical activity has been shown to improve immune response. However, excessive exercise can also have a negative effect on inflammatory response. In a new study published in the British Journal of Nutrition, researchers investigated the impact of strength (ST) and fish oil (FO) on the immune system of elderly women. The study participants included 45 women with an average age of 64 years. The women were assigned to one of three groups: strength training without supplementation for 90 days; strength training plus 2 grams of fish oil for 90 days; or fish oil only for 60 days, followed by 90 days of strength training. The fish oil supplements contained 180 mg of EPA and 120 mg of DHA per gram. Training included various exercises conducted three times per week over a 12 week period. Various measures of immune function were measured before and after both supplementation and exercise. Strength training alone did not result in any significant changes to measures of immune function. Fish oil supplementation improved functioning of the immune system by increasing the activity of the white blood cells neutrophils and lymphocytes. Production of specific cytokines IL-2 and IFN-g (important small proteins for cell signaling in the immune system) increased by 80% and 60% in response to supplementation. After exercise and supplementation they increased 85% and 88%, respectively. The results of this study showed that immune response was not enhanced by strength training alone. Immune response was improved significantly with fish oil supplementation, and further enhanced by the combination of exercise and supplementation. Cintia de Lourdes Nahhas Rodacki, André Luiz Felix Rodacki, Isabela Coelho, Daniele Pequito, Maressa Krause, Sandro Bonatto, Katya Naliwaiko and Luiz Cláudio Fernandes. Influence of fish oil supplementation and strength training on some functional aspects of immune cells in healthy elderly women. British Journal of Nutrition, available on CJO2015. doi:10.1017/S0007114515001555. A new study shows that elderly women who consume the most flavonoids, compounds found in tea, chocolate, red wine, and fruits and vegetables, have lower cardiovascular, cancer and all-cause mortality rates. 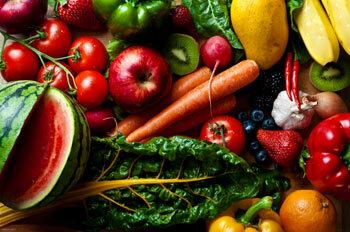 Flavonoids are phytonutrients (plant nutrients) found in tea, chocolate, red wine and many fruits and vegetables. Reduced mortality from vascular disease and some cancers have been linked to high intakes of flavonoid-rich foods and specific flavonoid intake. In a new study, published in the American Journal of Clinical Nutrition, researchers explored the potential association between overall flavonoid intake and the risk of all-cause mortality. 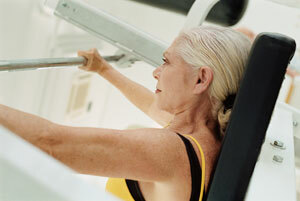 The study participants included 1,063 women over the age of 75 years. Flavonoid intake was estimated using two different sets of food data: the USDA and the Phenol-Explorer database. Over a five-year follow-up there were 129 deaths in the study group. All-cause, cancer, and cardiovascular deaths were determined. Women with the highest flavonoid intake (per USDA) had a 63 percent lower risk of all-cause mortality over the five-year follow-up than those with the lowest flavonoid intake. Those with the highest flavonoid intake also had a 66 percent lower risk of cardiovascular death, and a 75 percent lower risk of cancer mortality. The results were nearly identical when using the Phenol-Explorer database to determine flavonoid intake. Using the two most comprehensive flavonoid databases available, this study provides evidence that a higher intake of flavonoids is linked to a reduction in all-cause mortality in older women, and even more so to cardiovascular and cancer mortality. Nothing can capture the excitement, energy, and inspiration you can experience at 2015 International Convention. The workshops are where you go to learn how to grow your business, but the general sessions are where you go to love life and live it. But maybe you’re not joining us this year. We can’t re-create the thrill of attending Convention at your home, but we can share the magic of every general session with live streaming video and video on demand (VOD). For only $65 US, watch every general session on The Hub. It’s a chance to see why Associates from around the globe make attending Convention mandatory for both them and their team. With talks from top sales leaders, world-class motivational speakers, USANA executives, and elite athletes, watch why nothing energizes and grows your business like getting to Convention. Live streaming of general session and VOD are available for purchase July 20–September 30. VOD will be available August 28–September 30. Both the streaming live video and VOD will be available in English, French, Spanish, Chinese, and Korean. Sign up for live streaming video and VOD now and join the celebration of Convention. In a new study published in the American Journal of Clinical Nutrition, researchers examined the associations between intakes of magnesium, potassium and calcium with stroke risk in a large population of women. Based on an updated meta-analysis of all prospective studies to date, the risk of stroke was reduced 13% for each 100 mg/day increase in magnesium intake. For each 1,000 mg/day increase in potassium intake there was a 9% reduction in stroke risk. 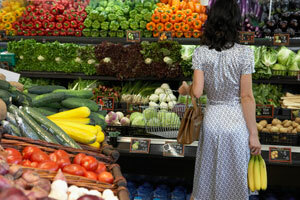 Calcium intake was not independently associated with stroke risk. My new distributor was complaining: "This ?#@*&%! business doesn’t work!!!" And my new distributor was right. The business doesn’t work. You look for the best car for you, and you purchase the car. But, you never learn how to drive your car. You never take driving lessons, you never go out driving with your parents, you never read the owner’s manual. You don’t know about those strange pedals on the floor or where to put the key into the ignition. “Drive! Drive!” And your car doesn’t drive itself. So, you looked for a network marketing business that was a good fit for you. You purchased the business and joined. But you never learned how to make your business work. The only thing you did was make a few attempts at "trial and error" ... you said the wrong words to a few friends and two cold leads. And your business didn’t build itself. Your business didn’t work. * You didn’t come to Saturday trainings. * You didn’t do three-way calls with your sponsor. * You didn’t listen to any training CDs. * You didn’t come with your sponsor while your sponsor went prospecting. * You didn’t learn how to give a "One-Minute Presentation." * You didn’t learn "SuperClosing" or any other closing. * You didn’t learn about the "Colors" ... the four different personalities and how to talk to them. * You didn’t learn any effective "Ice Breakers" or openings. * You didn’t learn how to get prospects to beg you for presentations. * You didn’t learn any effective first sentences. * You didn’t learn how prospects make decisions in their minds. * You didn’t learn how to get unlimited appointments. * You didn’t learn how to stop sounding like a sleazy salesman. * You didn’t learn any of the "sequences of words" to communicate directly with the prospects. * You didn’t learn how to use the differences between needs and wants. * You didn’t learn where and how to locate the best prospects. * You didn’t learn how to create prospects instantly with effective sentences. 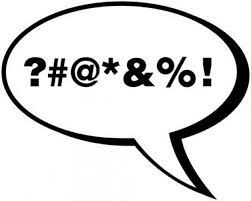 * You didn’t learn the sequences of words that the top leaders use. * You didn’t learn how to open a presentation. * You didn’t learn how to build instant rapport with anyone. * You didn’t learn how to use word pictures. * You didn’t learn how to talk directly to the subconscious mind of the prospect. * You didn’t learn why prospects tell you "no" when they should be agreeing with you. * You didn’t learn the first things you must say to cold prospects. * You didn’t learn how to locate and create leaders. * You didn’t learn how to motivate people. * You didn’t learn how to get your prospect’s unconscious mind to work for them. * You didn’t learn how to use stories to bypass the two mind filters of prospects. * You didn’t learn how to quickly capture your prospects’ imagination and attention. So stop blaming the business. The second goal came screaming off the right foot of an experienced, resurgent star. The shot blazed past the outstretched arms of the goalkeeper and tucked just inside the post. The results were the same—Olympic gold. And they made USANA Brand Ambassador Carli Lloyd the only soccer player, male or female, to score a gold-medal-winning goal in two Olympics. It took five years for Carli to find the game. Once she did, the soccer ball rarely left her feet. 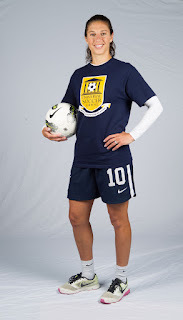 Like so many others, her dreams were built on the United States Women’s National Team (USWNT) and their historic run to the 1999 Women’s World Cup title. Carli was in the stands for a game, watching her heroes. Nine years later, she was the one mobbed by teammates after scoring her first gold-medal-winning goal in overtime against Brazil in Beijing. 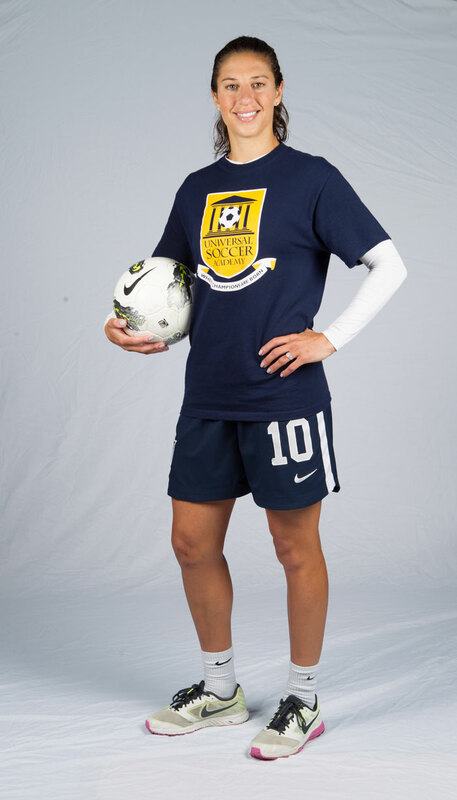 It made Carli the 2008 U.S. Soccer Athlete of the Year and launched her into stardom. Carli, now a stalwart of the USWNT with over 100 international appearances, was suddenly on the bench. But an injury to a teammate during the first match put Carli back on the pitch. Carli scored the winner in that first match and added a goal against Colombia later in the tournament. Then there was the gold-medal match against Japan. Carli scored both U.S. goals, writing her name in the record books. Those goals will be part of Carli’s legacy, but they don’t tell the whole story. The buildup to these moments are filled with obstacles overcome and failures turned into lessons. She almost quit the U.S. under-21 team. Competing with other stars for the first time was almost too hard. But she found a mentor and trainer who helped her refocus on soccer. Carli credits him with transforming her game on and off the field. There were injuries—like the broken ankle in 2010—missed shots, tough losses, and setbacks. But Carli came out stronger. “I just keep fighting and fighting and raising the bar and exceed limits that don’t even exist yet,” she says. And that’s the real difference between those two goals. The focus and determination that turns an opportunity into stardom and a little girl with a soccer ball into a legend. * This is only available in the US, for US Distributors who bring in new US teammates. In case you didn’t realize it, today, July 4, 2015, is the beginning of the new annual qualification period for USANA 2015/2016 incentives, including Fortune 25, Growth 25, 2016 International Convention Recognition, etc., etc. It’s time for all of us to take renewed responsibility and accountability for our USANA businesses, get to work, and do the right things to build our USANA businesses to the level that we have always wanted. 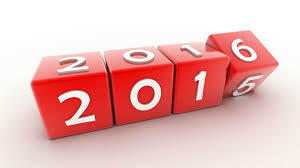 · Just as many people make New Year's resolutions in December and January, make your USANA New Year's resolutions now. Define or re-define your "Why". Set your goals and develop specific plans (Single Daily Actions) to achieve those goals. Focus on achieving them. 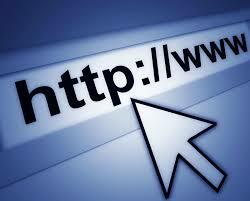 · Re-visit and clean up your prospect list. Prioritize your best prospects and start contacting them today. Clean out the "dead wood" on the list - don't allow them to waste your valuable time. Make one last call to those prospects who have been telling you "maybe" for all these past months (or years). Politely tell them that you won't be contacting them again in the future, but, if they want to be a part of your success story, you would welcome the opportunity to help them create their own success story if they decide to get started now. · As always, updated Health and Freedom newspapers, and many other marketing tools, will be introduced at the USANA 2015 Convention. Clean out your USANA tool box now, and get all those tools into the hands of prospects before they are obsolete. Take all of the USANA business building tools that are still in the box in your closet, put them in the middle of your dining room table, and make it your goal to hand out each and every one of them before this year’s Convention. Don't move the stack from the table until you have given them all out. Put some on the front seat of your car, so you don't forget, or get caught talking with a good prospect and nothing to give to them. · Finally, September and October are two of the best business building months of the year. Vacations are over and the kids are back in school. 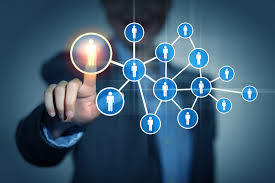 Do yourself and your prospects a favor by explaining to your prospects the value of joining USANA with you NOW so that they will be fully trained and ready to hit the ground running in September to take full advantage of that excellent prospecting period. Will 2016 be your breakthrough year in USANA? Only you can decide that, and only you can make it happen. We are 6 weeks out from Convention! The Convention ticket early bird pricing of $279 will end on July 17. 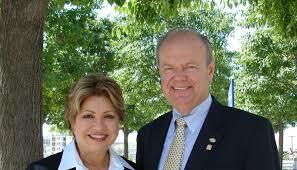 Join us as we reach the goal of 5,000 attendees from the United States USANA Family. 1. Convention – We are excited about our 2015 Convention (#USANA15)! This year Convention will be August 19 – 22, and with an incredible lineup of speakers: Dr. Wentz, Dave Wentz, Dr. Oz, Amy Purdy, Grace Keohohou, Darren Hardy, Dr. Libby Weaver, Dr. Denis Waitley, and the USANA management team, we are poised for another great year! If you aren’t registered already, register today! · Champions for Change 5K info. · The store – offering branded items, products, and specials. · Breakout sessions will be workshopped, and the content presented on stage will be posted on the HUB following Convention. · Special trainings for you as Gold Directors and above. 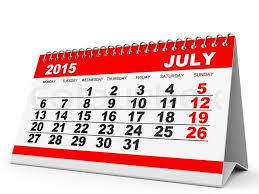 · And plenty of other opportunities to make this another year you won’t want to miss! Each year we have the opportunity to put you up close to the main stage during General Sessions in the Celebration Zone! This year we are rewarding the leaders who get their teams to Convention. Those leaders who have the most personally sponsored associates registered for Convention by July 31st will be rewarded with Celebration Zone Tickets! Get your team registered for Convention, and join us at Convention front and center! To help you promote the 2015 International Convention, USANA has created a Convention Kit for Gold Directors and above. It includes a video of 3 Star Diamond Director Jordan Kemper talking about promoting events, a PowerPoint with all of the speakers at Convention, and a Convention promotion video. This will provide you with the tools to promote Convention at your events and to your teams! US Field Development will be hosting two Convention 2015 Conference Calls to prep all attendees for this amazing event. One call will be specifically for Golds and above to cover all activities. Another call will be an all field call to review the event and assist your teams to plan out Convention. Our goal is to make 2015 International Convention a premier Associate event for all attendees. These calls will generate excitement, validate their decision to attend, and inform them on all aspects of Convention. Be sure to join these calls listed in the Conference Call section below. 1. Fast Start Pack – In partnering with your US IDC, we have created an exciting new enrollment pack that will be available July 6th! This is only available in the US, for US Distributors who bring in new US teammates. The pack flyers will be available in Communications Edge beginning July 6 so you can personalize them, but the link to download them in all languages now is right here. This is a great opportunity, as we are getting ready to kick off the New Year, get it going with a Fast Start! 2. IDC Elections – As Gold Directors and above, you will have the opportunity to elect next year’s US IDC. 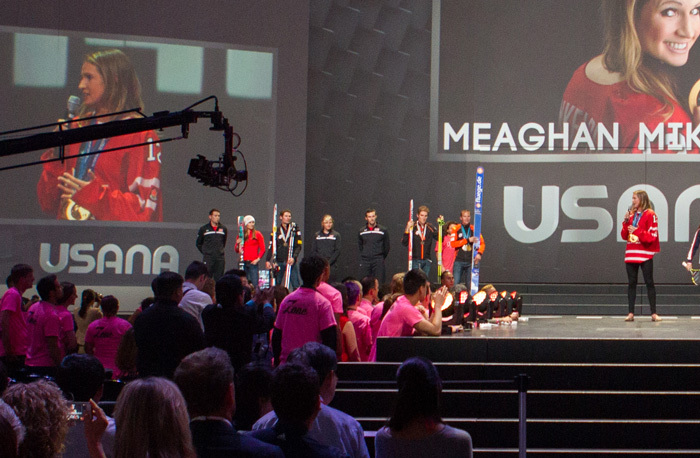 We will be sending out an email for you to vote who you would like to have represent the US for the 2015/2016 USANA Year! Keep an eye out for IDC Elections email coming mid-July! 3. US Latin Market Incentives – USANA has always been open to everyone in the United States, but now we have an added focus within the U.S. market: Latino communities. USANA will be offering an incentive for you and your new Latino team members! There will be weekly prizes for a Convention voucher, Celebration Zone tickets, and an overall Grand prize as well! · Your new, personally sponsored teammates must enroll with a Spanish BDS. · Generate enough SVP to open a minimum of 1BC (200 SVP). · Maintain an active Auto Order of at least 100 points through the contest period. Weekly prizes will be awarded to the top two performing Associates each week. The Grand Prize will be awarded to the top ten performing Associates during the entire incentive timeframe. The Grand Prize is registration to 2015 USANA International Convention, $400 airfare voucher, hotel accommodations for five nights, and a special dinner and training with top USANA leaders and Management! More details on the incentive in the link below! 4. Leadership Summit – Your leader must average 7,800 Commission Volume Points (CVP) total for a 13 week period. This is an average of 600 CVP weekly (no more than 800 CVP will be counted for each week). We learn & grow, network, and have so much fun at these Summits – take a look at the photos of our Leadership Summit in May! 5. Success on the High Seas – We have 1 week left in the qualification for the Success on the High Seas trip. Have you opted-in for the Success on the High Seas? Have members of your Team opted in? If not, there is still time for you and your team to opt-in. Once you opt in—and everyone has to opt in—we will track your growth in Commission Volume Points (CVP) from July 5, 2014, to July 3, 2015. We will compare that to your CVP growth over the previous year. Don’t miss out – this is the last chance to opt in! 7. Executive Diamond Summit – Aloha! Our first Executive Diamond Summit will be held February 23–28, 2016, in Maui, Hawaii! The advancement cutoff date is this Friday, July 3, 2015—you will have until October 23, 2015 to qualify by earning Executive at your new rank. This will be an amazing trip—worthy of the massive accomplishment of building a solid business as you climb to the highest heights. 8. 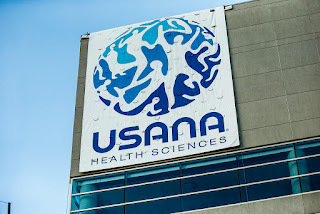 Trusted Partner and Sponsor of the Dr. Oz Show – USANA products have been featured on six episodes since January. Those episodes are now available for you to share with your team, family, friends, and prospects in multiple languages. Here is a link to a playlist of all of our USANA Dr. Oz videos in all languages! Go to the Dr. Oz website to find these, as well as many other great videos on similar topics. The next show airs on July 7th. The featured product will be Nutrimeal Free! You may also see some of our USANA family in the audience, be sure to tune in! The link below will take you to The HUB with the information and the business plan for our featured product, Nutrimeal Free! 1. 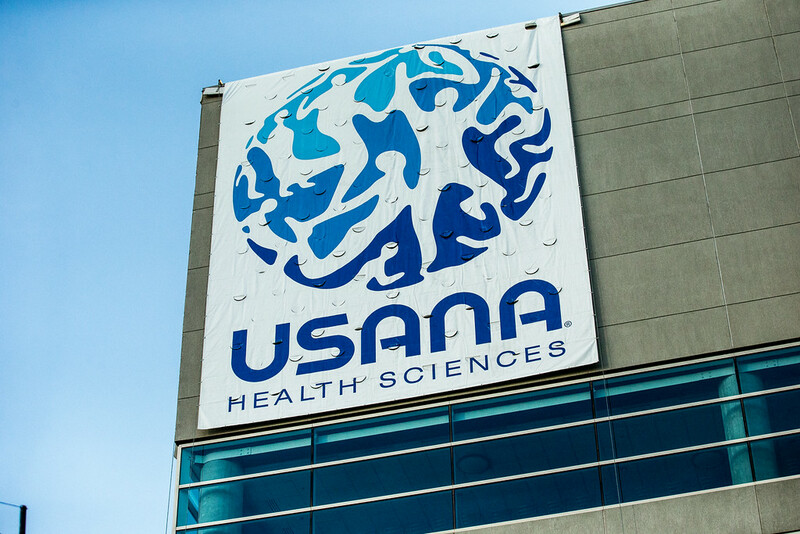 US Latin Market Launch – USANA has always been open to everyone in the United States, but now we have an added focus within the U.S. market: Latino communities. Latinos USA is a tour to support the official launch of the US Latino Market! These events will be primarily Spanish-speaking events. We encourage you to invite your Spanish-speaking guests and potential business partners to these exciting events! Dates and locations are currently up on the HUB. Look at the link below to find the event nearest you!